Craig Denegar, P.T., Ph.D., A.T.,C, FNATA is a professor in the Department of Kinesiology and the Director of the Doctor of Physical Therapy Program. He teaches in the areas of therapeutic interventions, research methods and clinical epidemiology. Craig completed his Ph.D. in Sports Medicine at the University of Virginia and a MPT at Slippery Rock University. Prior to moving to the University he served as an associate professor in the Departments of Orthopaedics and Kinesiology at Penn State. Craig is the senior associate editor of the Journal of Athletic Training and serves on the editorial boards of the Journal of Sport Rehabilitation, The Journal of Strength and Conditioning Research and Open Access Journal of Sports Medicine. 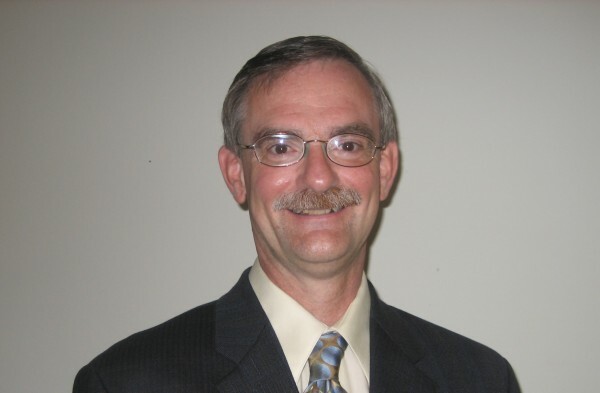 He is the lead author of the text Therapeutic Modalities for Musculoskeletal Injuries, co-author of Research Methods: A Foundation for Evidence-based Practice and has written and presented numerous papers related to musculoskeletal rehabilitation and athletic health care. Denegar CR, Wilkerson GB. Safeguarding Student-Athlete Health and Welfare Conference: Proceedings Summary. J Athl Train. 49: 550-551, 2014. Wilkerson GB, Denegar CR. Cohort Study Design: An Underutilized Approach for Advancement of Evidence-Based and Patient-Centered Practice in Athletic Training. J Athl Train. 49: 561-567, 2014. Gordon AI, Distefano LJ, Denegar CR, Ragel RB, Norman JR. College and Professional Women’s Basketball Players’ Lower Extremity Injuries: A Survey of Career Incidence. IJATT 19(5) :25-33, 2014. Joseph MF, Lillie KR, Bergeron D, Cota K, Yoon J, Denegar CR. Achilles tendon biomechanics in response to acute intense exercise. J Strength Cond Res. 28:1181-6, 2014. Haladay DE, Miller SJ, Challis J, Denegar CR. Responsiveness of the Double Limb Lowering Test and Lower Abdominal Muscle Progression to Core Stabilization Exercise Programs in Healthy Adults. J Strength Cond Res. 28:1920-7 2014. Haladay DE, Miller SJ, Challis J, Denegar CR. Quality of systematic reviews on specific spinal stabilization exercise for chronic low back pain. J Orthop. Sport Phys Ther. 43:242-250, 2013. Joseph MF, Crowley J, Dilieto L, O’Neil J, Denegar CR. Incidence of Morphologic Changes in Asymptomatic Achilles Tendons in an Active Young Adult Population. J Sport Rehabil, 21:1 249 – 252, 2012. Joseph MF, Lillie KR, Bergeron D, Denegar CR. Measuring Achilles tendon mechanical properties: a reliable, noninvasive method. J Strength Cond Res. 26:2017-2020, 2012. Flanagan S, Lewis-Dunn C, Comstock B, Maresh C, Volek J, Denegar C, Kraemer W. Cortical Activity During a Highly Trained Resistance Exercise Movement Emphasizing Force, Power or Volume. Brain Sci. 2:649-666, 2012. Haladay DE, Blorstad AL, McBrier NM, Denegar CR, Lengerish EJ. Back pain among health care workers in Pennsylvania 2002-2005 WORK. 41:93-98, 2012. Denegar CR, Cordova ML. Statistics and Diagnostic Certainty. J Athl Train 47:247-250, 2012. Vela L, Denegar CR. Transient Disablement in the Physically Active with Musculoskeletal Injuries, Part 1: A Descriptive Model. J Athl Train.45:615-629, 2010. Denegar CR, Ciriani GR. Self-management of adhesive capsulitis – a case report of a novel application of whole body vibration. Athletic therapy Today 15(6):19-22 , 2010. Denegar CR, Dougherty DR, Friedman JE, Schmizzi ME, Clark JE, Comstock BA, Kraemer WJ. Preferences for Heat, Cold or Contrast in Patients with Knee Osteoarthritis Affect Treatment Response. J Clin Interventions Aging. 5:199-206, 2010. Vela L, Denegar CR. The Disablement in the Physically Active Scale, Part II: The Psychometrics of an Outcomes Scale for Musculoskeletal Injuries. J Athl Train 45:630-641, 2010.